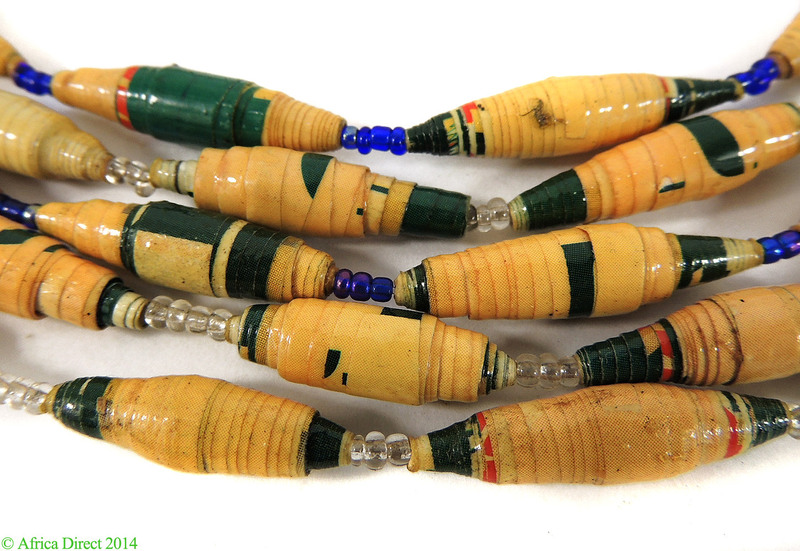 Additional information: These colorful beads are made in Uganda from paper, which is then coated to protect the beads. The glass bead spacers vary in color each strand has either clear or blue spacers. The strand you purchase may have either color. 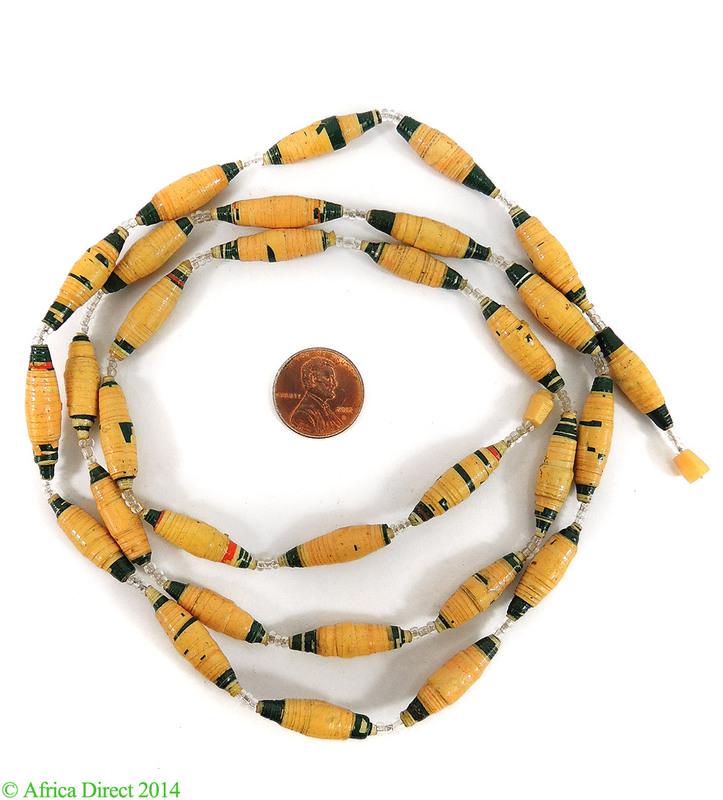 For more information, please see our comprehensive guide to African-made beads, African Beads: Jewels of a Continent, hardcover, 216 pages, 163 color photographs, available from Africa Direct.